The Fourth Pig that knows how to build with straw - a presentation on building with straw bales and more. 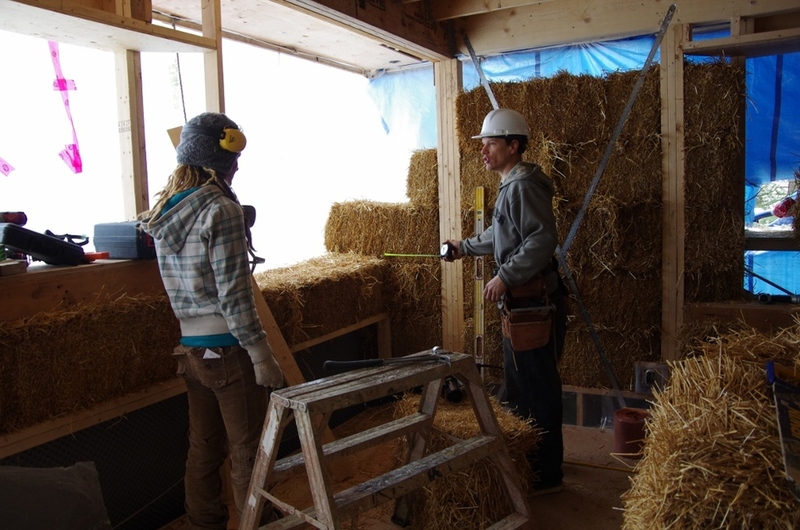 It may be cold and blustery outside but those cozy inside a well-built straw bale home are keeping warm and well this winter! Interested in learning more about building with straw and other natural materials? Members of the Fourth Pig Worker Co-op (green and natural construction) will talk about straw bale construction and natural plasters and show photos of homes built and renovated to be energy efficient, healthy and beautiful. They will also discuss some tips to make your own home more energy efficient and bring samples of some healthier materials. It all happens at The Ryde Community Co-op in Gravenhurst Ontario, Sunday March 22, 1pm-3pm. Please register in advance by calling Judy at 705-687-2406. $15 for Ryde co-op members, $25 for non-members.